Turn off the “parent alarm.” Listen without judgment and reaction. When your son says, “Mom, I met this girl” and you react by saying, “You’re too young to date,” that instinctual alarm prevented you from being able to hold a meaningful discussion on healthy sexuality. Don’t catastrophize. When teens come to their parents with concerns, they need a calming, rational presence that will create a safe space for them to figure things out. When parents make it seem worse than they had imagined, they leave more anxious and won’t return. Don’t over empathize. Adolescents need a sounding board. Sometimes they exaggerate; sometimes they express fleeting feelings. When you over empathize, it can heighten their emotions and make you look naïve or overly involved. Imagine your empathizing by condemning their friend who your daughter had a fight with. You’ll look “wrong” the next day when your daughter is best friends again with the girl she hated yesterday. Teens are happy to hear their parents’ values and opinions, but these opinions should not be shared in a way that feels judgmental or condescending and should try to avoid personal territory that will position a teen to need to become defensive of friends or self. Parents who lecture are not heard. The lecture is often condescending or hostile, and is delivered with an abstract string of possibilities loosely tied together. 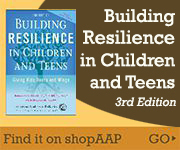 Young adolescents are still not thinking abstractly, and all teens who are upset or in crisis mode will not absorb lessons delivered abstractly. Parents may increase their yield if they are able to convey their wisdom in a more concrete manner that adolescents can follow.